When a prestige brand like Rolex chose to locate in the town of Lititz, PA, a town known for historic preservation and the beauty of the surrounding farmlands, we were inspired to create a building to reflect that combination of quality, allure, and history associated with both the Rolex brand and Lititz. The imagery of our building design includes traditional shapes, features and materials of barns in the nearby area combined with innovative characteristics and architectural elements. The result is a corporate facility that reflects the international stature associated with the Rolex name, while blending with the pastoral setting of Lancaster County. "I recently had the opportunity to visit our facility in Lititz and was reminded of the value of working with your firm, recalling the level of insight gleaned from your involvement with Rolex . . . from the initial design phase and development of our Lititz site. From the outset, your firm’s sensitivity to the Swiss level of detail was instrumental in the successful completion of what remains our company’s most ambitious construction project to date in the U.S. On behalf of Rolex management and all of us who have collaborated with you on these projects, we thank you for your professionalism and guidance in creating workspaces that are truly a pleasure to work in, and address our productivity requirements as well. We look forward to working together on future developments." Senior Vice President of Technical Operations, Rolex Watch, USA, Inc. 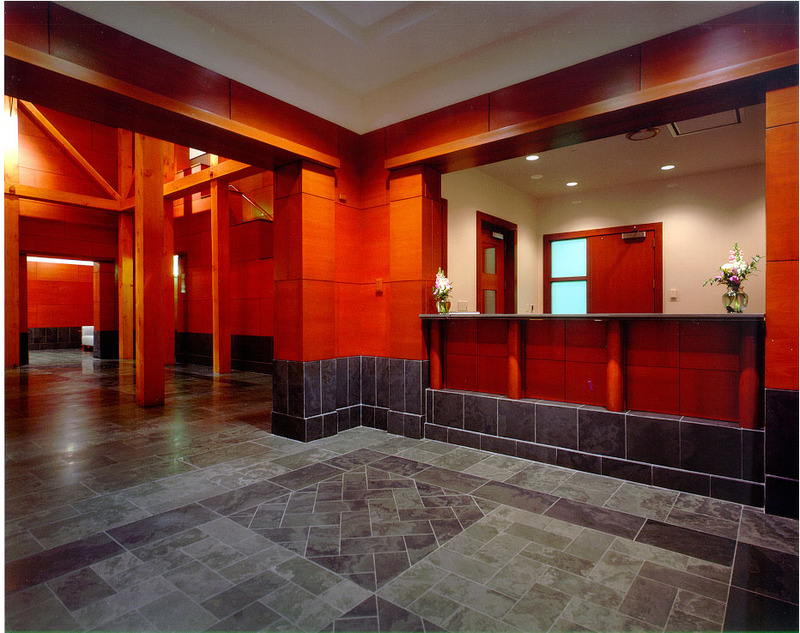 The reception area of the building echoes the richness and vastness associated with Rolex while incorporating subtle imagery of the local area. Slate tile floors are installed using patterns adapted from locally handmade quilts. The Swiss pear wood in the paneled walls, trim, and doors is a unique way of reaffirming the agricultural richness of the area while adding a brilliant patina of warmth to the open area. Stairs to the second floor are cleverly concealed in the paneling to maintain a visual simplicity that reinforces barn-style character. 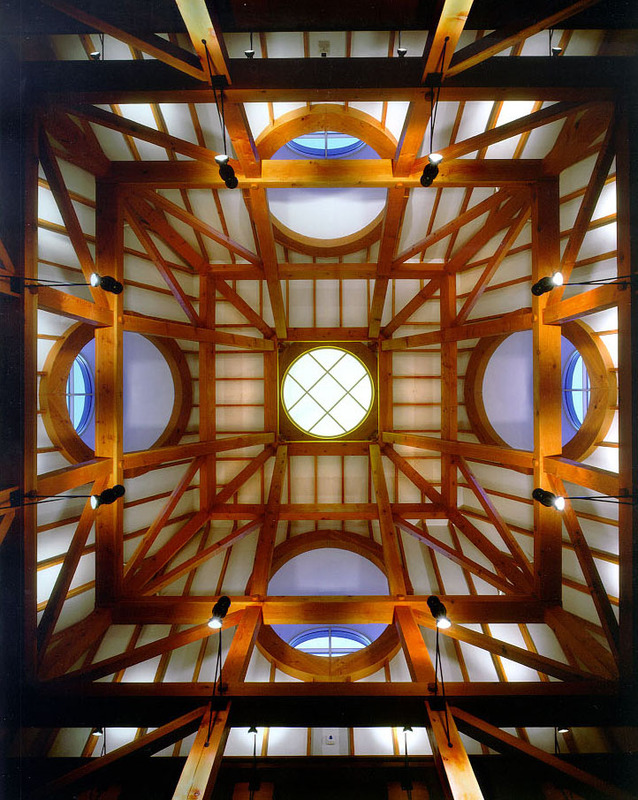 Looking upward into the atrium of the reception area, the design of the timber framing draws the eye into the center glass window of the roof. Adjacent circular windows on each side of the roof’s pitch fill the space with natural light, while carefully placed interior lighting is used to enhance the dramatic barn-like imagery in the rich wood framing. As you go further into the interior of the building, functionality becomes the focal point. Here in the Customer Service Department, located in the center section of the building on the side facing the road, modular demountable steel and glass walls are used to separate spaces while allowing for visual connections throughout the various rooms of the department. This adds architectural character while allowing easy visual supervision and security. 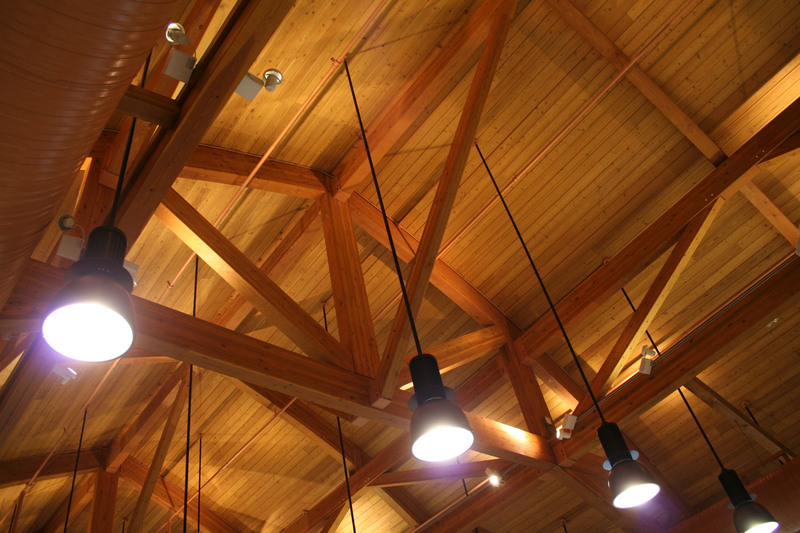 In the shipping and receiving department the heavy timber roof trusses and roof deck frame are incorporated to create a spacious spectacular work environment for employees. Large walls of windows connect the department with the adjacent watch repair studios. The smaller pattern of small windows mirrors the use of ventilation slots found in local barns. Floors have highly polished, non-absorbent surfaces to control dust in the repair studios. 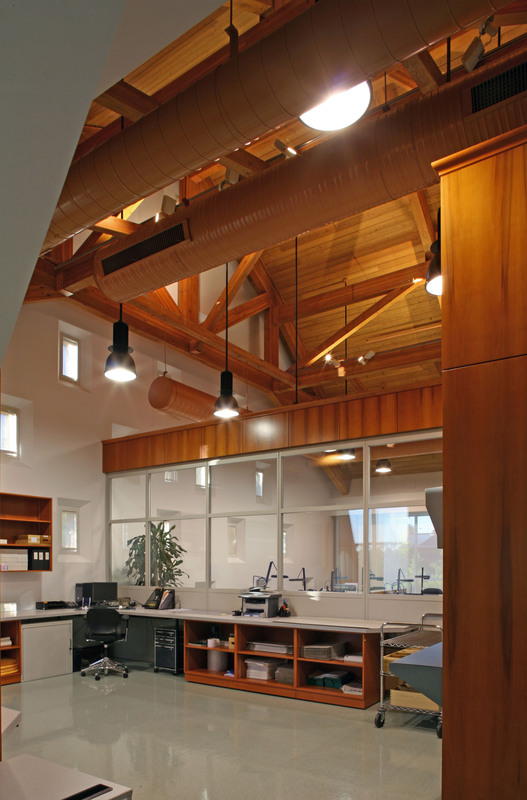 The three-dimensional roof trusses above the repair studios adds a sculptural artistic quality to the space. 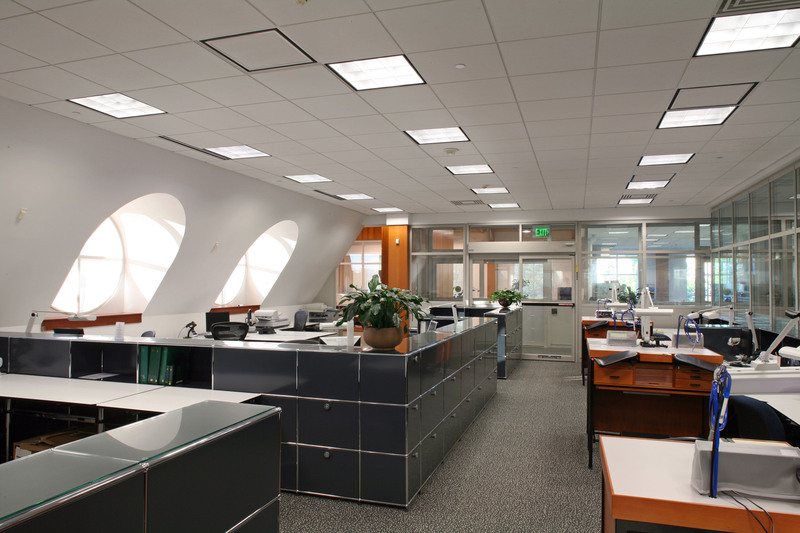 High efficiency lighting is essential for the detailed work being done below and is controlled by daylight sensors to assure uniform lighting levels, incorporating newest technologies with classic design elements. These controls automatically adjust to dim or enhance lighting by individual fixtures, so the room maintains a consistent lighting level as natural light enters from the windows. 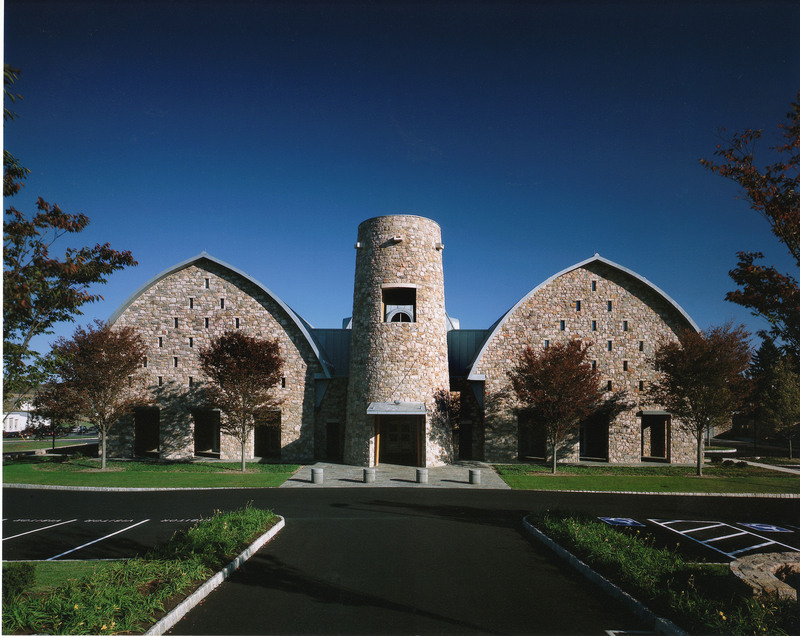 The main building entrance makes a strong visual statement, using a silo shape and style to connect the two barn-shaped side areas of the facility. 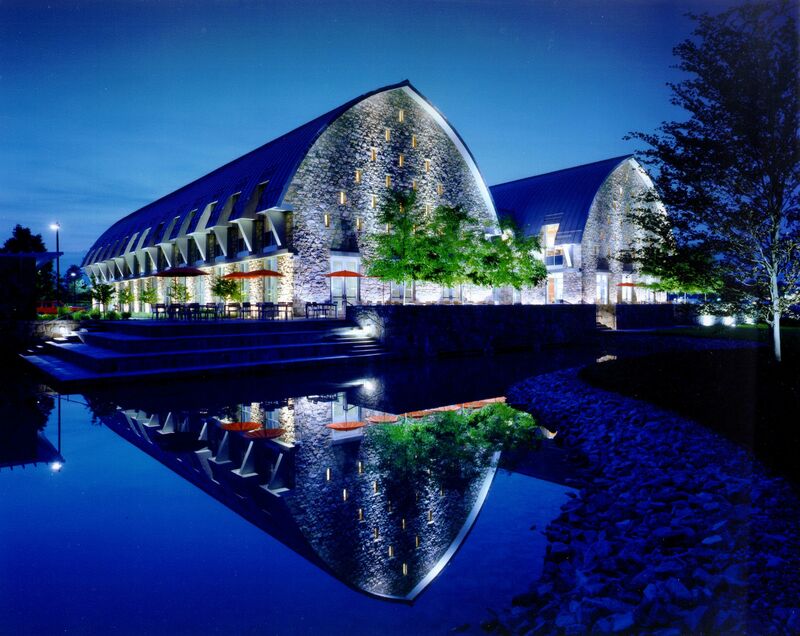 The stone façade is characteristic of the stone bank-barn styles of the region, and reflects the durability and strength associated with the Rolex name. The small windows that provide so much natural light within the building look like typical barn ventilation slots when viewed from the exterior. Beautiful landscaping is the final touch to enhancing the precise symmetry of the building design.